Paris is incredible. Hands down. With so many popular things to do it can be easy to fall into the numerous tourist traps. 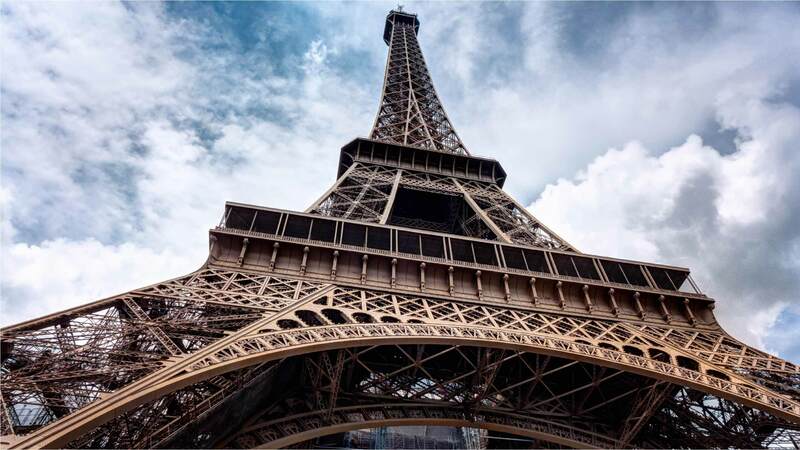 This summer I will be traveling to Paris for the sixth time and by now I’ve seen many of the classic Paris icons like The L’Ouvre and the Eiffel Tower (or should I say the Tour Eiffel). By no means do I want to diminish the wonder of these sights and I certainly don’t want to dissuade you from seeing them, but there are some fun and different sorts of adventures for those of you that like to wander off the beaten path, like I do. 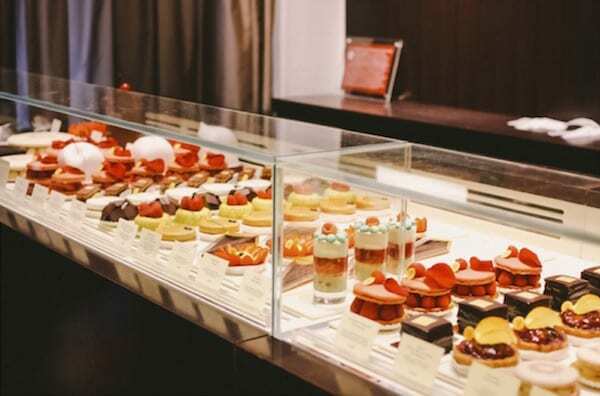 For anyone who loves chocolate, this is a must do when visiting Paris. There are so many wonderful chocolate shops to choose from, so why not try a little from each. When we did this, we specifically followed a route through Saint Germain des Prés. We made stops at Pierre Hermé, Gérard Mulot (my favorite! ), Chocolate de Neuville, Pierre Marcolini, Ladurée, and finally Debauve & Gallais. Now, this may seem like an expensive activity, but if you show some restraint and only get one or two chocolates from each stop it can be reasonably priced. Bon Appétit! This was a true gem to find, and after 5 minutes it was one of my favorite places in Paris. 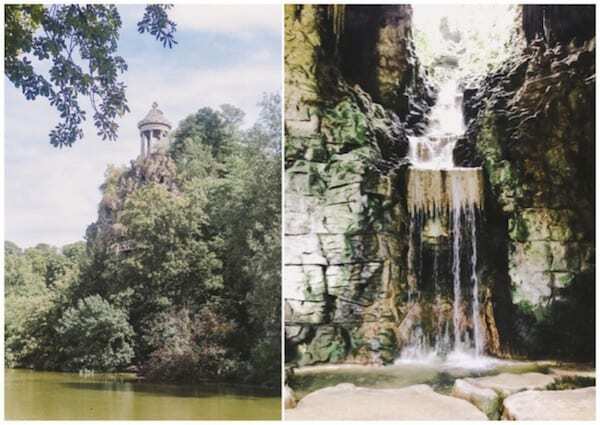 Parc des Buttes Chaumont is in the northeast part of the city, in the 19th arrondissement. It is the fifth largest park in Paris, complete with a lake, waterfalls, bridges, and a remarkable temple ruins. Little did you know that there were waterfalls in Paris! 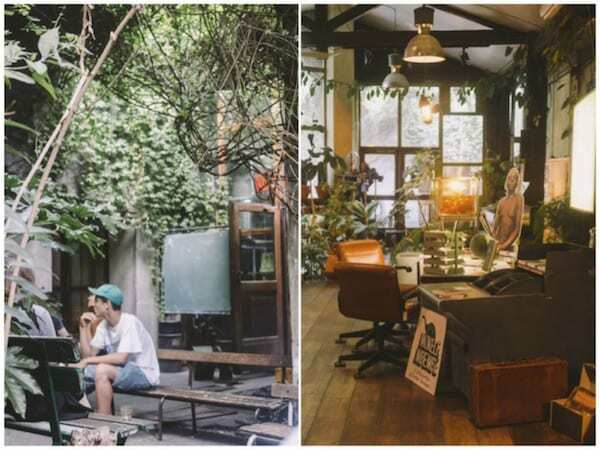 After you are done lounging on the grass or hiking to the top of the ruins, you can grab a refreshment at Rosa Bonheur, a chic bar, restaurant, and dance hall located within the park. A well kept secret restaurant favorited by many Parisians. Make sure to stop by Sunday nights to catch a show by the LGBTQ choir! This is a wonderful maze of a store. 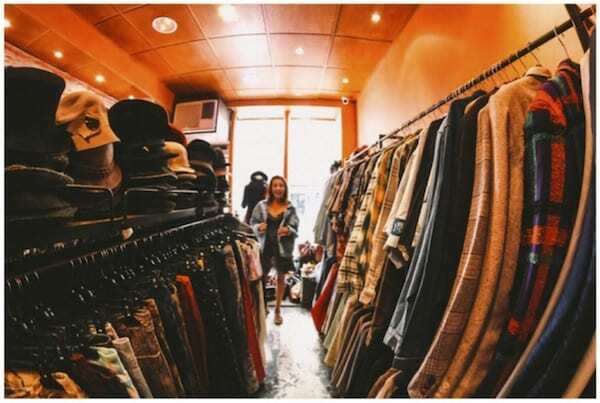 It’s a thrift store, located in Saint Germain des Prés, where everything is sold by its weight. It’s a great place to stock up on light summer dresses that are needed for hot Paris summer days. However, despite its vast selection, the gems are few, so be prepared to dig. Located in the heart of Montmartre, Refuge Des Fondus is so, so, adorable. 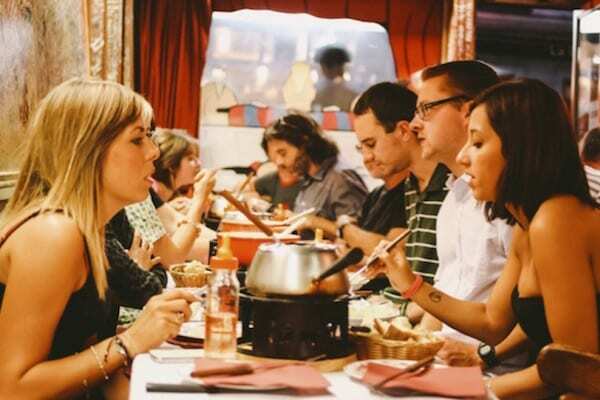 It’s a fondue restaurant with a lot of quirk and charm. For starters, it is tiny. Two rows of tables line either wall, and in order to sit on the side by the wall you must step onto a chair and over the table. I bet you’ve never had wine from a baby bottle before! To add to the restaurant’s style and to minimize spilling, all wine is on tap and served in baby bottles. Also, due to the close quarters, it is very easy to make friends on either side of you. By the time we finished our meal, we had shared food, stories, and laughs with the couples sitting next to us. The meal is a fixed price, which can be somewhat expensive, but you pay for the experience so enjoy! If you like all things creepy, old, and beautiful then this is the place for you. 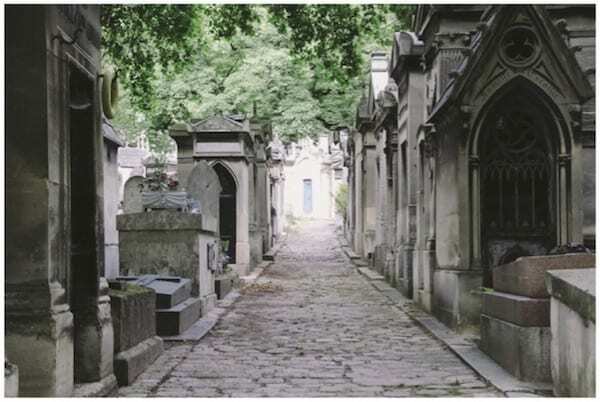 This cemetery is one of the most famous in all of Paris. Edith Piaf, Oscar Wilde, and Jim Morrison, to name a few, are buried here. Take some time to walk around and admire the beautiful gravestones and tombs, just don’t stay too long! The cemetery closes around sunset and you definitely won’t want to get locked in… or who knows… maybe that’s your next adventure? So, this place looks like it’s straight out of a fairy tale. 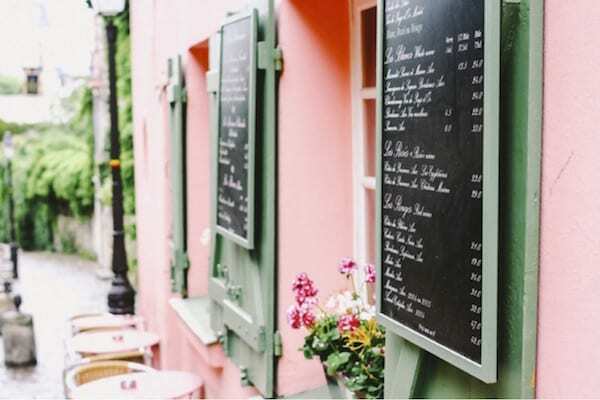 Nestled on a beautiful corner in Montmartre, La Maison Rose offers every sort of aesthetic to fulfill your Parisian dreams. Sit outside or inside, upstairs or down, and enjoy delicious food while taking in the beautiful scenery. Also, let’s be real, it’s the perfect spot for an insta pic. 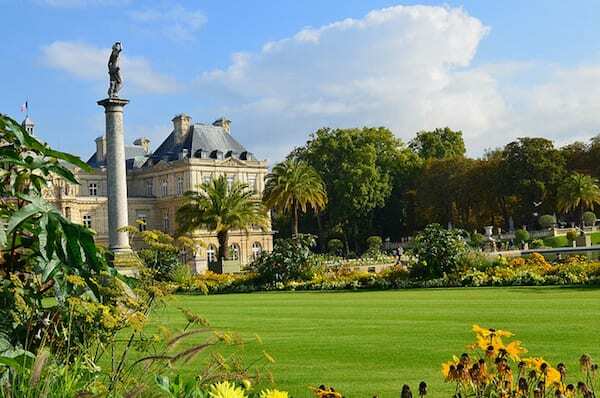 When the sun is out and the birds are singing, where better to spend the afternoon than the beautiful Luxembourg Gardens? Now, I know many people venture into the gardens (as it is a famous tourist destination), walk around, maybe sit for a moment and then leave. What I encourage you to do is spend the whole afternoon there. Take a book, or just your thoughts; bring a blanket, and lay out on the grass for the afternoon. If you get hungry make sure to stop at one of the numerous crêpe carts scattered throughout the park. Even after being there I can’t really tell you what Le Comptoir General is, but it’s super interesting. It’s part bar, part restaurant, part boutique. Located down an alleyway close to Republic, if you weren’t looking for it, you would never find it. Inside you’ll find hipsters, hippies, families, and more hipsters. Stop in and look around, maybe try one of their creative cocktails in the afternoon. There are various seating areas set up to look like living rooms so it’s a great place to stay and relax. The Galeries d’Anatomie are a unique personal favorite of mine. This place eluded me until my last visit, but it is incredible! Part of a park called the Jardin des Plantes which is full of a ton of super interesting and unique museums, including this one. And the best part? They all have student passes! 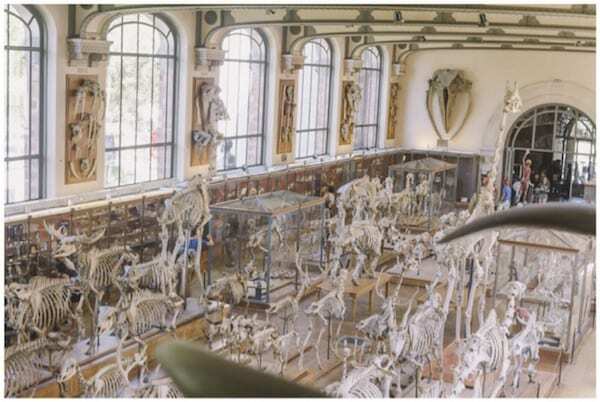 This particular museum caught my attention because it is entirely filled on almost every surface with bones. Bones of animals, insects, fossils, humans, and even dinosaurs. The building itself is also beautiful so it’s definitely worth the visit! Here is another new find! Right outside the gates of the Jardin des Plantes sits the Grand Mosque of Paris. Perhaps it seems strange to be sending you to a mosque for tea, but this particular mosque has the most amazing tea and pastries, not to mention the incredible atmosphere. The whole coffee shop is outside under the shade of canopies and filled with all types of vegetation. You feel transported out of Paris! Share a hookah with friends as you sit around and relax. Skinny jeans, skinny jeans, skinny jeans: If there is one thing I learned my first time to Paris it was that everyone wears skinny jeans. The simpler your outfit, the more chic, and the less you’ll stand out as a tourist. Comfy slouchy t shirts: These can be graphic or not but they are simple to pair with skinny jeans, just try to avoid bright colors. Ballet flats: Personally, I love ballet flats and I found I was able to walk in them all over Paris; they are cute and still fairly practical. For the days that you do plan to go the extra mile (literally) I would recommend a nice pair of Converse, or sturdy walking shoes. A small purse with a zipper: No wants to be lugging around a huge purse all day or increasing the number of potential things to be stolen, so I recommend a small cross body purse. Make sure it has a zipper and limited side pockets to keep your stuff safe from thieves. An umbrella: Paris is totally beautiful in the sun, but it’s also beautiful in the rain, and it rains quite a bit, so make sure you aren’t without one of these. Black wayfarer sunglasses: These are just a personal preference but I love style and what better city to show your style in than in Paris, a classic black pair of wayfarers will make you feel like your part of a movie. Scarves: To dress up an outfit and add another layer of warmth. A versatile, hooded, waterproof jacket: A neutral color will go with everything you pack. If it is light enough, it can be worn in spring and summer or with warm layers in winter. This week we are pleased to present a guest post by Lauren Mercier, a writer for TheCollegeTourist.com; the leading collegiate travel blog and global community for students studying abroad and in the USA. TheCollegeTourist exists to connect students with experiential learning opportunities of a lifetime. Believing that true education begins when young people step outside of their geographic and cultural comfort zone through travel. College Tourist was nominated as one of the Top 100 most Influential Travel Blogs worldwide by the White House Summit on Global Citizenship and Cultural Exchange.